February 21, 2007 - LOVES PARK, Ill. – Kids 12 and under are invited to join Rocko the RiverHawk on March 3 at Riverside Community Bank for the Kids Club Kickoff Party. The event runs 10 a.m.-2 p.m. at Riverside Community Bank’s branch located at state route 173 and N. Alpine Rd. in Machesney Park. The event will feature autographs from the team mascot, a chance to win an official RiverHawks jersey, a $10 bank account from Riverside Community Bank, door prize giveaways and refreshments from DQ Chill and Grill. “This event provides an opportunity for kids to learn how to save money and to give them constructive activities for their summer break,” RiverHawks sales director Dan Macdonald said. The club is open to all children between the ages of 3 and 12. 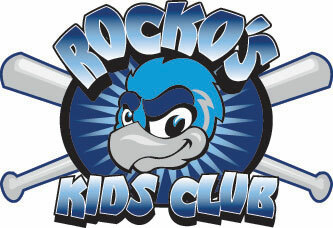 For just $20, members will receive a Rocko's Kids Club T-shirt and a membership card. Each member also gets a free outfield box ticket to the 10 biggest promotional nights of the season. In addition, club members receive free admission to all four youth clinics, scheduled for June 12, July 16, August 6 and August 27. All participants of the youth clinic receive a free special gift and a ticket to that night’s game. Note: All promotions are subject to change.